New Year's is not really a big event in our household. The kids are still too young to stay up and to be honest, it is a struggle for me to even stay awake for the Times Square ball drop. However this year I wanted to make it a bit more fun and special for the kids and I received some help from King Julien. If you have watched any of the Dreamworks Madagascar films, you know how wacky and hilarious King Julien can be. My five year old absolutely loves his Christmas special and we've watched it repeatedly on Netflix this season. 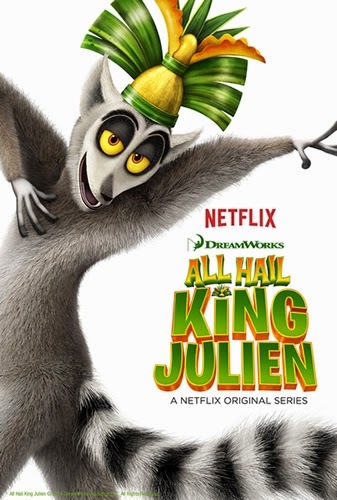 Well now he is back in his very own Netflix original series: All Hail King Julien. King Julien is back and shaking his booty harder than ever! Discover the wild world of Madagascar as the king takes on the jungle’s craziest adventures in this comedy series. With his loyal sidekicks Maurice and Mort, they meet a whole new cast of colorful animals, including ambitious head of security Clover and the villainous Foosa. No one can stop this king from ruling with an iron fist...in the air...wavin' like he just doesn't care. 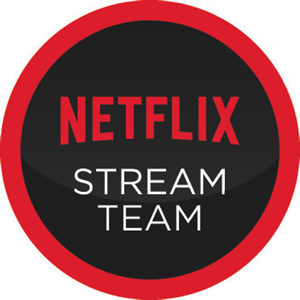 Season one just premiered on Netflix on December 19 with 5 episodes. This series takes place before Alex and the other zoo animals arrived in Madagascar and shows how Julien becomes king. We have watched a few trailers and we already know we are going to enjoy it. Now that we have gotten a little taste for it, we are planning on a New Year's Eve King Julien marathon to finish up the episode. It will be an early night for sure, I need to have my kids in bed by 8:00pm for my own sanity, but it will be filled with laughs and yummy snacks. 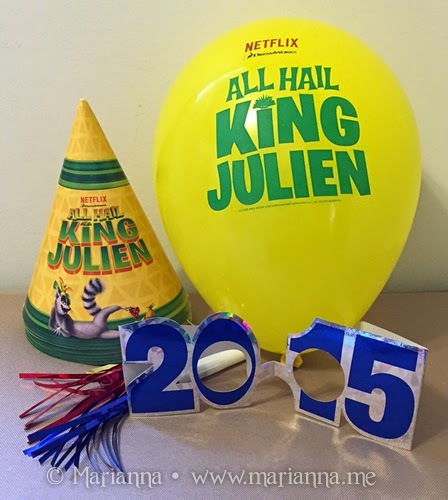 We even have some All Hail King Julien goodies to make it even more fun. Season one simply debuted on Linette on December 19 with 5 scenes. This arrangement happens before Alex and the other zoo creatures touched base in Madagascar and demonstrates how Juline gets to be the best. We have viewed a couple of trailers and we know we are going to appreciate it.